Property purchases aren’t always problem-free and problems can be costly. If you’re making a major property purchase soon, you may live in an area that requires title insurance. So, you’re probably asking two questions: what is title insurance and why do I need it? Well, those problems we mentioned can hit your wallet with scary legal fees. 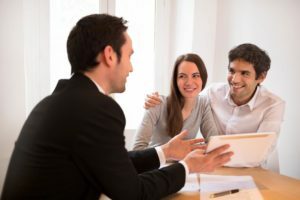 Before you make a home or business purchase, join us as we guide you through why insuring your title is critical– whether in North Carolina or elsewhere. Your title is proof of ownership, but it’s still a man-made document. As any child who’s played a game of “Telephone” knows, information doesn’t always get passed accurately. Unfortunately, this is the case with exchanges of property. Your title may have heirs that were never informed of their right to your recently-purchased home. On the same note, a previous owner may have actually forged some of the crucial documentation that’s being passed to you. This is no good if you want to have no worries while you own your property. Title insurance companies examine your title and any related public records to determine if your property legally belongs to you. Furthermore, they work to resolve any issues that arise. This title search process exists because prevention is the strongest step to protecting your investment. Your insurance company will do their best during the title search, but not all problems are guaranteed to be revealed. That’s when the insurance policy steps in to save the day. Your title may be defective in other ways. Your insurer creates a policy that will guard the entire value of your property purchase against any claims. This protection means you’re safe against any neighbor who claims that your home actually crosses into their land. Additionally, you’re shielded from any legal processes that carry heavy litigation fees. Your insurer foots the bill, and you can continue breathing with ease. You are the primary party in mind when it comes to title coverage, but most buyers partner with a mortgage lender. This lender also needs to be guarded against any hidden troubles in your title’s past. 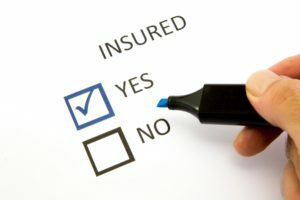 A separate insurance policy can and will be needed if you have a mortgage. Fortunately for you, many companies offer discounts or even include this in your insurance purchase. Your lender will be able to have peace of mind knowing their loan is safeguarded for years to come. Protection is valuable, because you are. When it comes to expensive purchases, a plan is essential and property is no exception. You now know that title insurance is valuable because your title may have flaws that can hit your wallet hard. You also know that insurers work to mend any past issues. Finally, you’ve learned that insuring companies protect you and your lender against any claims to your title. Your title insurance purchase covers you in a one-time buy for the life of your home. That said, we at Tryon Title understand if you’re still puzzled on a few parts to this process. If you ever need guidance, feel free to set up a chat with us and we’ll be glad to assist.